Rely on an internationally renowned ENT specialist with over 35 years experience in microscopic surgery of the ear. 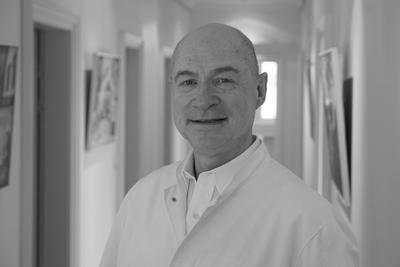 Dr Paul Péré, a researcher of the middle ear, has developed a surgical technique for treatments of middle ear diseases, resulting in improved hearing without the use of artificial materials. Dr Péré applies his technique in the treatment of cholesteatoma, adhesive process, tympanosclerosis, or chronic middle ear inflammation. Even for those who have been operated previously numerous times, the inflammations can be eliminated with the result of improved hearing. Patients suffering from otosclerosis can benefit from Dr Péré's advanced expertise in surgical treatment of this type of deafness. Dr Péré offers the most modern microsurgical techniques, including the use of lasers. Deafness can be successfully treated with a cochlear implant. Dr Pere's experience with this type of treatment of defness spans back to the eighties. You are healthy but profoundly deaf and need a hearing aid urgently. As your existing hearing aid is no longer sufficient or because you do not want to wear a visible hearing aid, or simply because you want to achieve better hearing, you would want to wear a completely implantable hearing aid. Dr Péré is a pioneer in this field and worldwide one of the few specialist for the implantation of middle ear hearing aids.